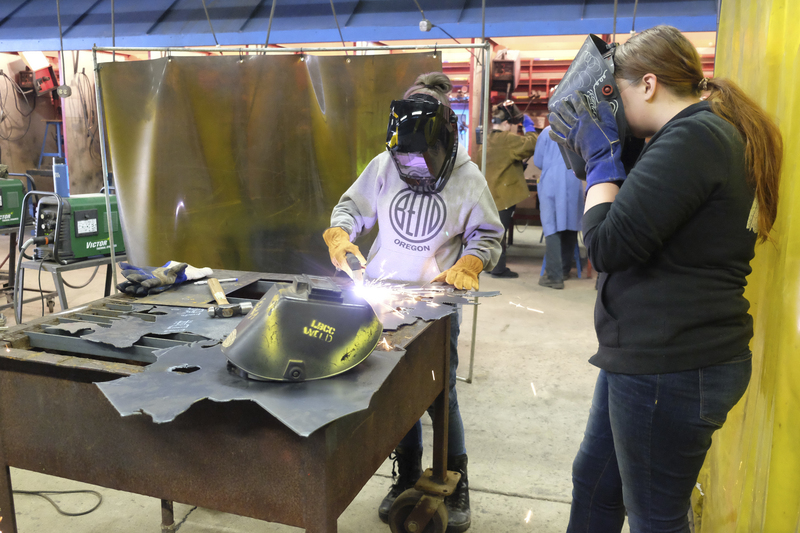 Girls from Albany Options, South Albany and West Albany high schools attended the second annual Women, Metals and Manufacturing Day at Linn Benton Community College on Friday. 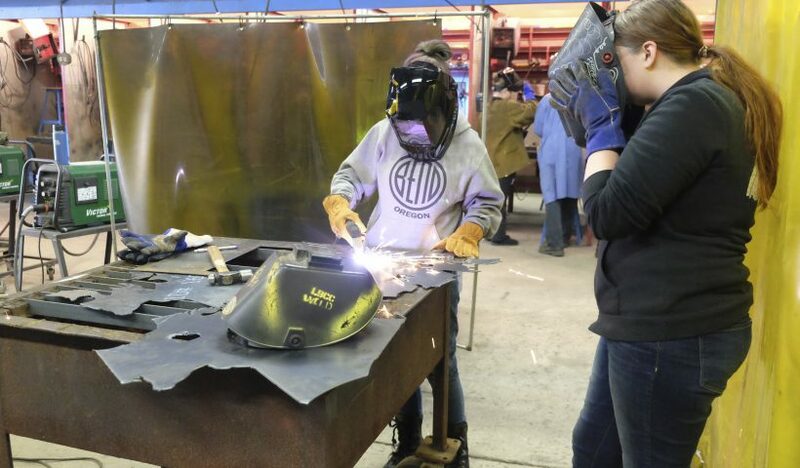 The program provided hands-on opportunities to learn about training for skilled, high-demand jobs, including Computer-Aided Design and Drafting (CADD), Machine Tool Technology, Welding and Fabrication, Mechatronics Industrial Maintenance and Non-Destructive Testing. The event was sponsored by LBCC, Albany Chamber of Commerce Pipeline to Jobs program and local manufacturers.